Introduction to Chemical Engineering Computing. Bruce Finlayson A.
Step-by-step instructions enable chemical engineers to master key software programs and solve complex problems Today, both students and professionals in chemical engineering must solve increasingly complex problems dealing with refineries, fuel cells, microreactors, and pharmaceutical plants, to name a few. With this book as their guide, readers learn to solve these problems using their computers and Excel, MATLAB, Aspen Plus, and COMSOL Multiphysics. Moreover, they learn how to check their solutions and validate their results to make sure they have solved the problems correctly. 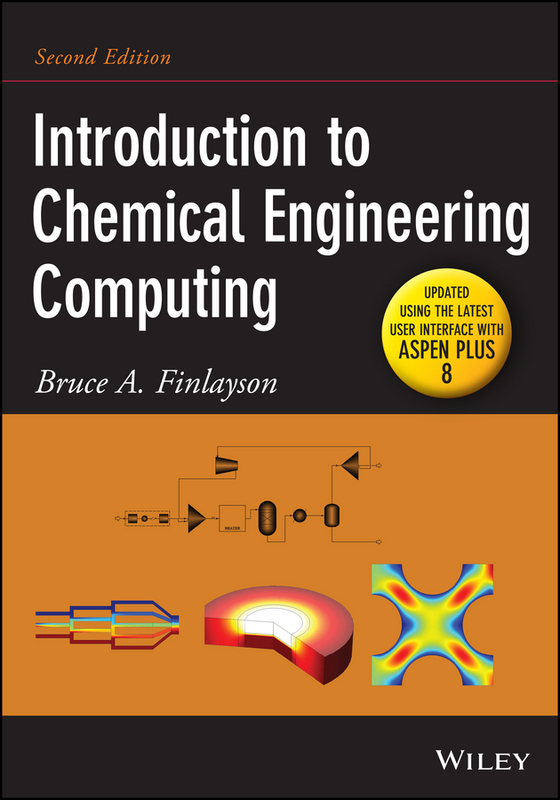 Now in its Second Edition, Introduction to Chemical Engineering Computing is based on the author’s firsthand teaching experience. As a result, the emphasis is on problem solving. 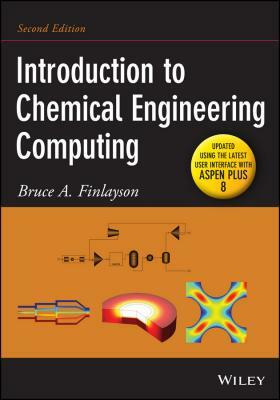 Simple introductions help readers become conversant with each program and then tackle a broad range of problems in chemical engineering, including: Equations of state Chemical reaction equilibria Mass balances with recycle streams Thermodynamics and simulation of mass transfer equipment Process simulation Fluid flow in two and three dimensions All the chapters contain clear instructions, figures, and examples to guide readers through all the programs and types of chemical engineering problems. Problems at the end of each chapter, ranging from simple to difficult, allow readers to gradually build their skills, whether they solve the problems themselves or in teams. In addition, the book’s accompanying website lists the core principles learned from each problem, both from a chemical engineering and a computational perspective. Covering a broad range of disciplines and problems within chemical engineering, Introduction to Chemical Engineering Computing is recommended for both undergraduate and graduate students as well as practicing engineers who want to know how to choose the right computer software program and tackle almost any chemical engineering problem.